The commercial airport at Jacobabad, about 300 miles north of Karachi and 300 miles southeast of Kandahar, is located on the border between Sindh and Baluchistan provinces. Jacobabad is one of three Pakistani bases used by US and allied forces to support the Operation Enduring Freedom campaign in Afghanistan. The other bases are at Dalbandin and Pasni. Under the terms of an agreement with Pakistan, the Allied forces can use these bases for search and rescue missions, but are not permitted to use them to stage attacks on Taliban targets. Both Jacobabad and Pasni bases have been sealed off and a 5km cordon set up around the bases by Pakistani security forces. As of mid-October 2001, it was reported that seven US C-130 cargo/troop carrying aircraft were at the airbase at Jacobabad, together with some helicopters [possibly including gunships]. The number of U.S. commandos on the base was said to have reached 200. About 250 Marines are stationed at Jacobabad for search-and-rescue missions. Jacobabad was the scene of several protests by opponents of the US airstrikes on Afghanistan. The Jamaat-e-Islami threatened to storm the air base of Jacobabad, and police have arrested dozens of the party's supporters. 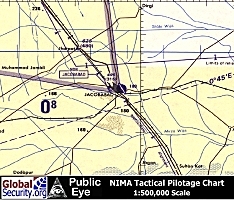 When Islamic extremists tried to march to the Jacobabad airfield on 14 October 2001, one person was killed and 24 people injured in clashes with police. Islamic militants summoned by Jamaat-e-Islam want to expel US personnel participating in the Operation Enduring Freedom military campaign. By late October 2001 roads to the city were blocked for days to prevent entry of protestors. But on 23 October about 200 militans appeared in the city, and at least 100 protesters had been arrested. Subsequently, protests subsided. By late November 2001, hundreds of US Army soldiers were housed in 42 aircraft hangars at the air base. 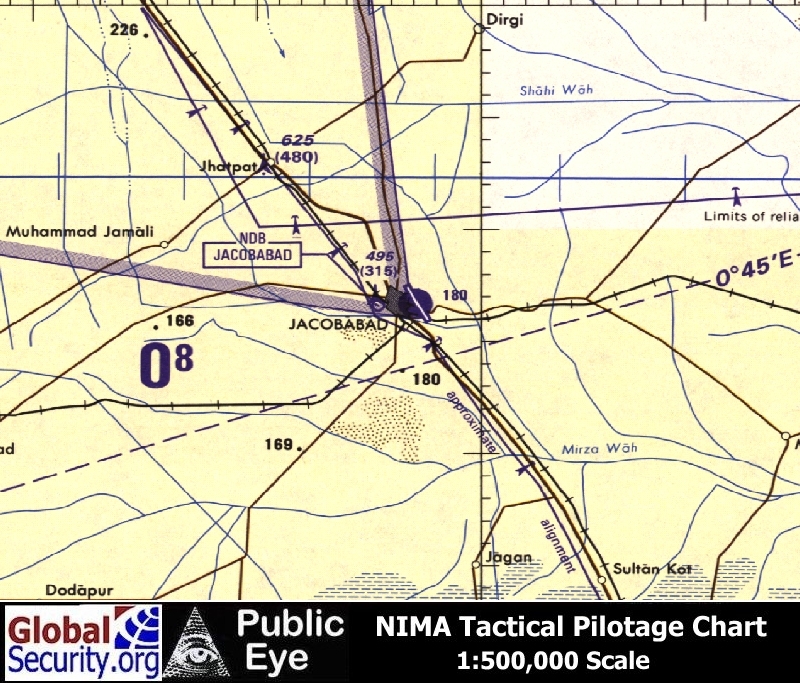 In early December 2001, Pakistan agreed to an American request for a long-term presence at Jacobabad. The US requested 40,000 metric tons of concrete to renovate the base. A wall surrounding the base will be raised by four feet, and air-conditioned barracks would be built for US troops [Jacobabad is said to be the hottest city in Pakistan]. All but a few Pakistani liaison officers would be withdrawn from the base. US forces would continue to maintain a presence at airfields in Pasni and Dalbandin. By early 2002, the US had done extensive construction and repair work at Jacobabad, and installed radar equipment. 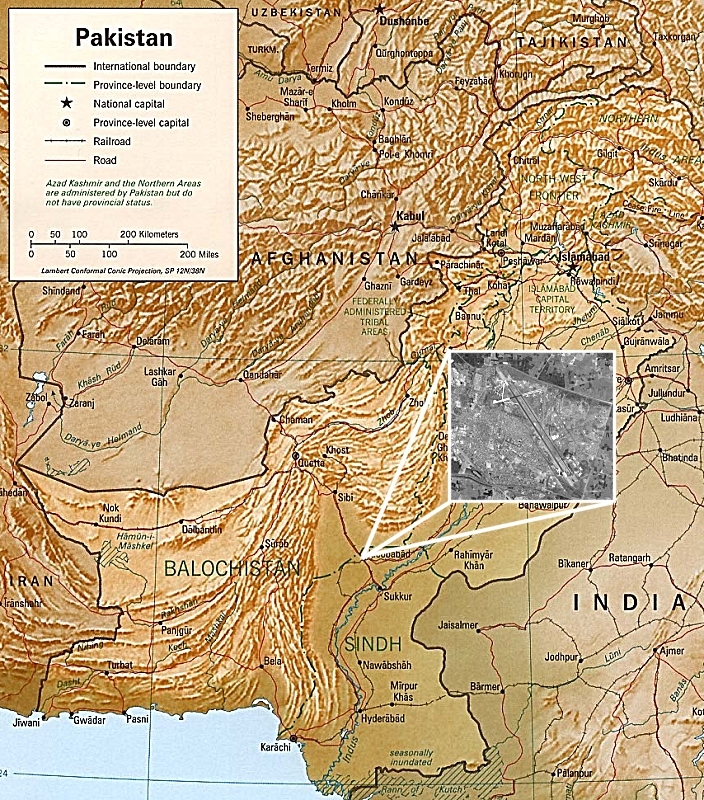 In late December 2001, Pakistan notified the US that the bases at Jacobabad and Pasni might be needed by the Pakistani Air Force, in the wake of rising tensions between India and Pakistan. 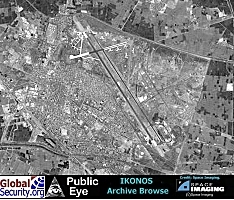 The facilities were partially reclaimed by Pakistan, and as of early January 2002 both Pakistani and American forces were operating at the two airfields. 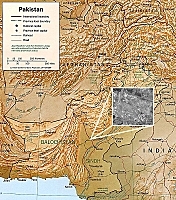 The US military retained exclusive use of the Dalbandin and Shamsi bases. By March 2004 there were reports increased US operations in Pakistan. Two air bases -- Dalbandin and Shahbaz -- were the focus for extensive movements to provide logistical support for special forces and intelligence operations. Shahbaz Air Base near Jacobabad appeared to be the key to the US's spring offensive. At Jacobabad, C-17 transports were reportedly involved in daily deliveries of supplies. 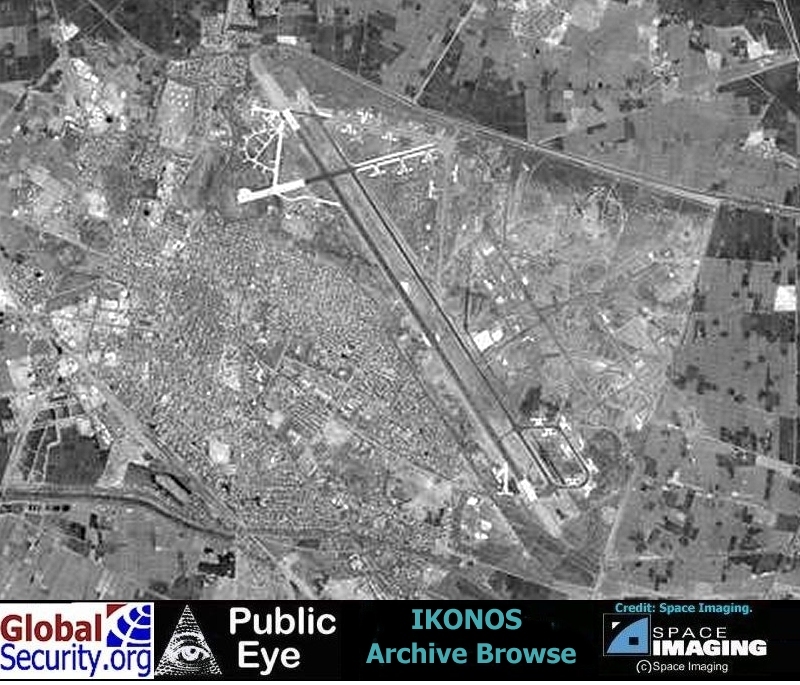 A report in the Pakistani newspaper the Daily Times [10 March 2004] claimed that the airbase was under US control, with an inner ring of facilities off-limits to Pakistan's military. Jacobabad is the third largest airport in the country in terms of area. The Jacobabad airport is one of the few airports in Pakistan that can be used jointly for military and commercial flight operations. Also known as PAF Shahbaz, the facility is a Forward Operational Base (FOB) which would become fully operational during wartime.